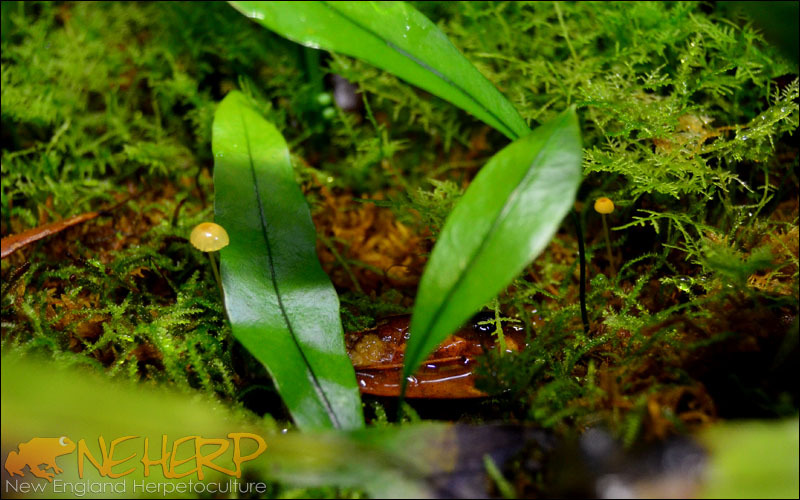 The importance of mushrooms & microfauna within a living vivarium environment can't be understated. 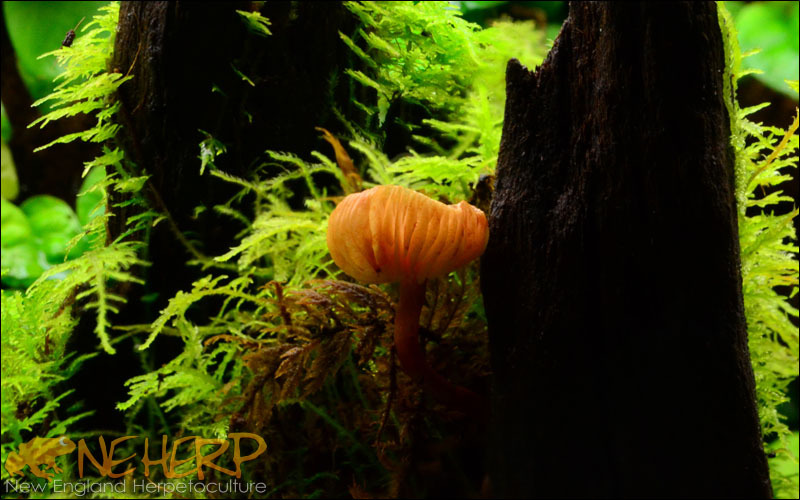 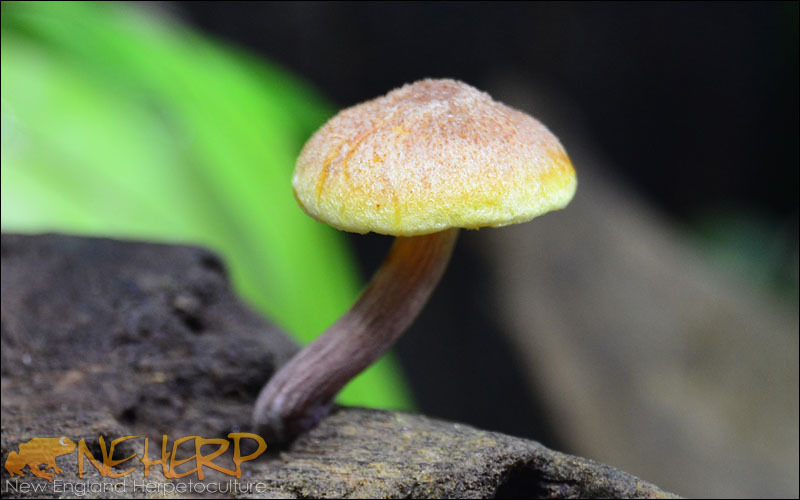 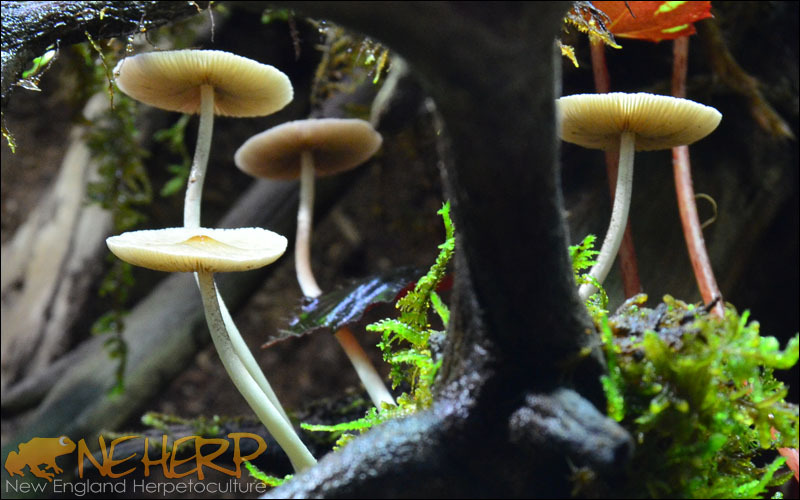 Mushrooms are the fruiting body of a fungus which can sound "icky" at first, until we consider the incredible importance of mycorrhizal relationships. 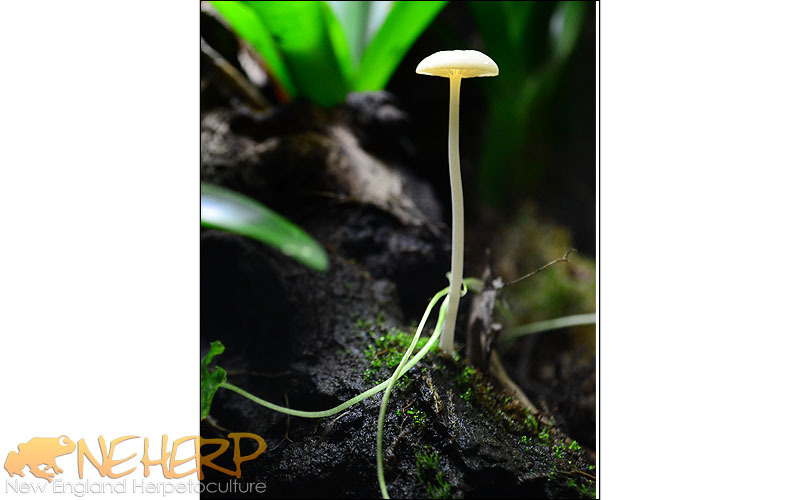 Mycorrhizal fungi grow (usually) mutualistically with plants to help the flora better absorb minerals & nutrients within the substrate, while the fungus benefits from being hosted in & on the plant's root systems, absorbing carbohydrates. 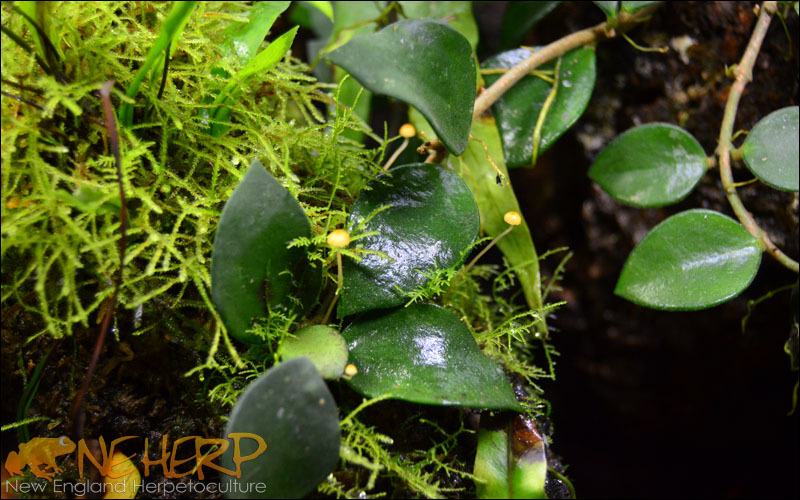 The vast majority of plants within live vivariums benefit from this relationship. 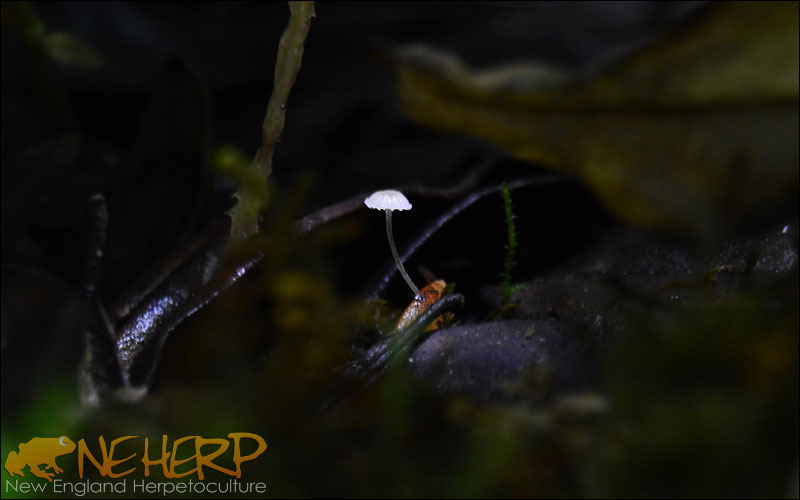 A step up the food chain, we'll find Springtails & Isopods munching on any spent mushrooms (and subterranian fungus), while also consuming other detritus that would otherwise build up within the enclosed environment. 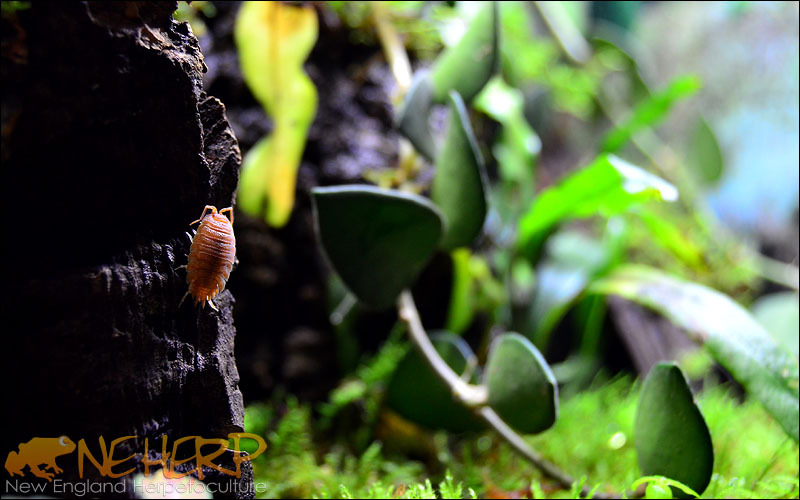 This is why these species of Microfauna are often referred to as "clean up crews" or "vivarium janitors". 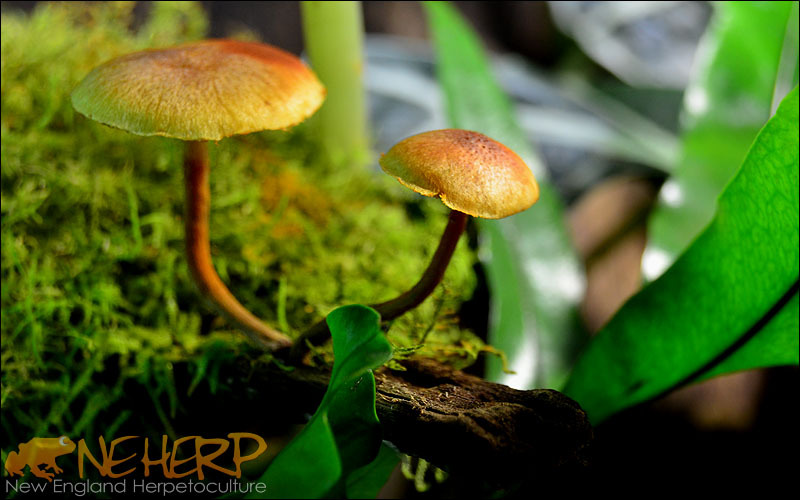 In truth, they might not be able to do all the work themselves, without the help of the mycorrhizal fungi! 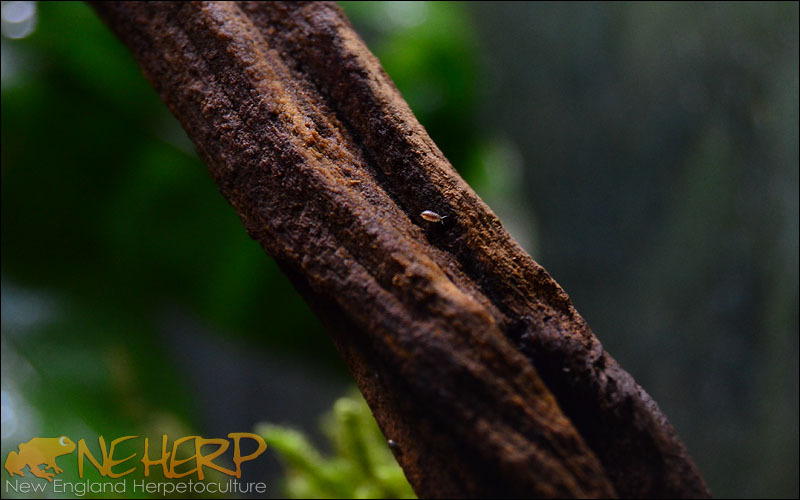 It's all really a fascinating, functional slice of natural biology once it's understood & appreciated. 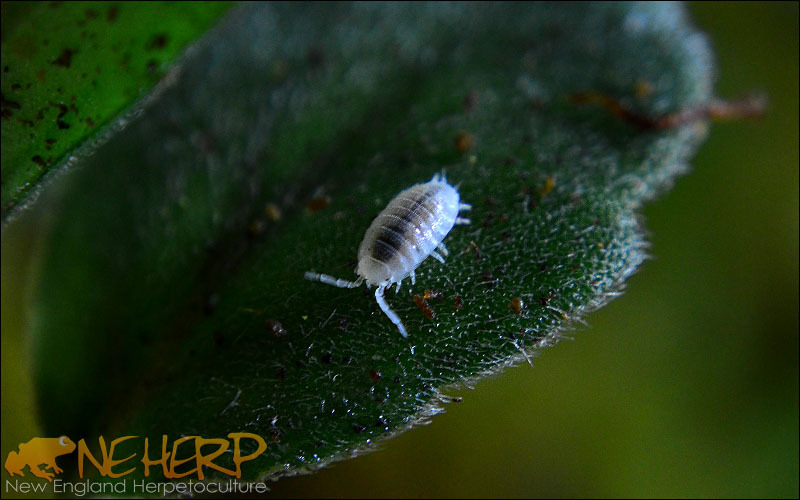 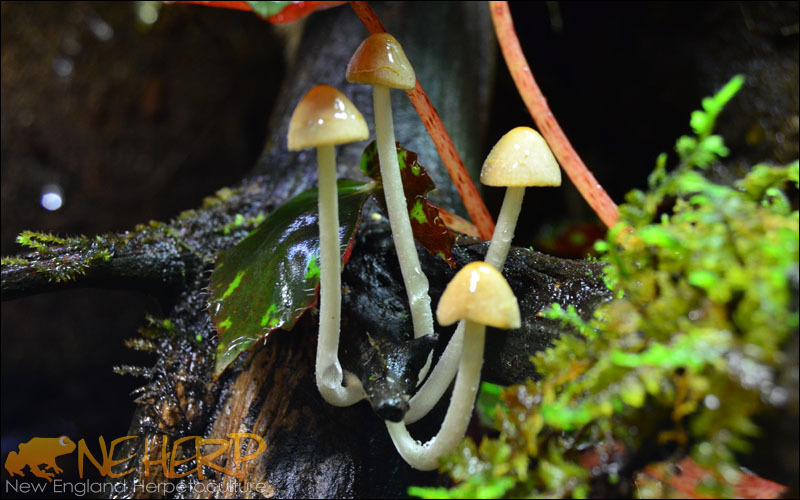 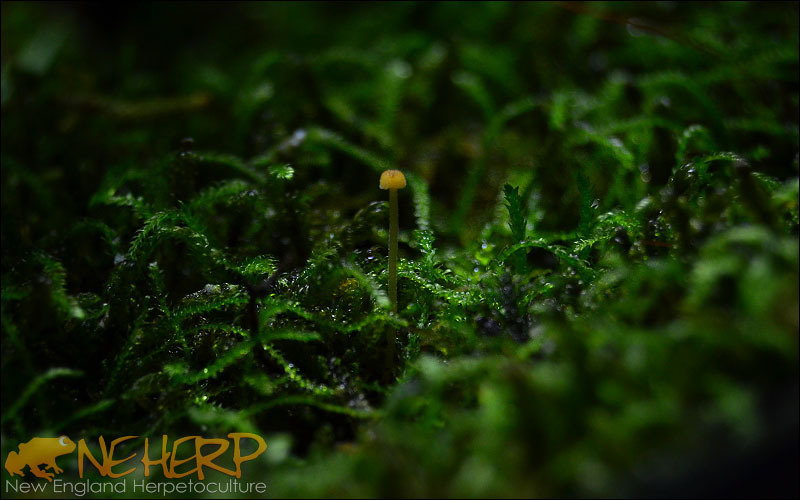 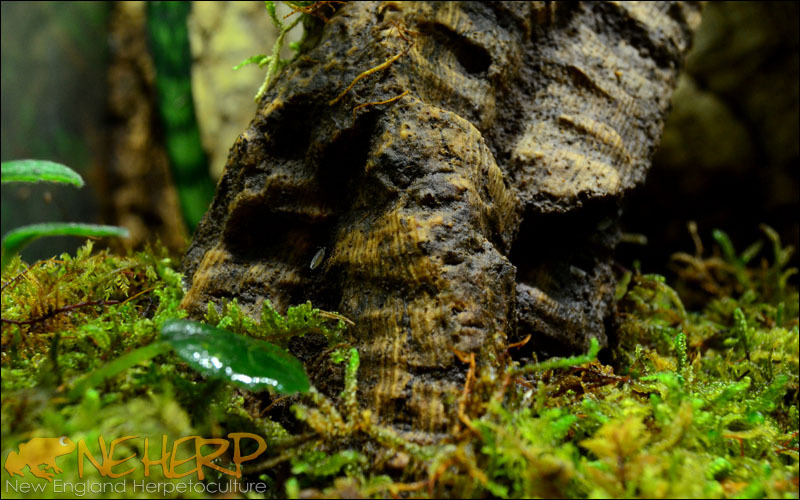 Below, we've got some of our favorite images of Springtails, Isopods, and Mushrooms we've seen in our vivaria. 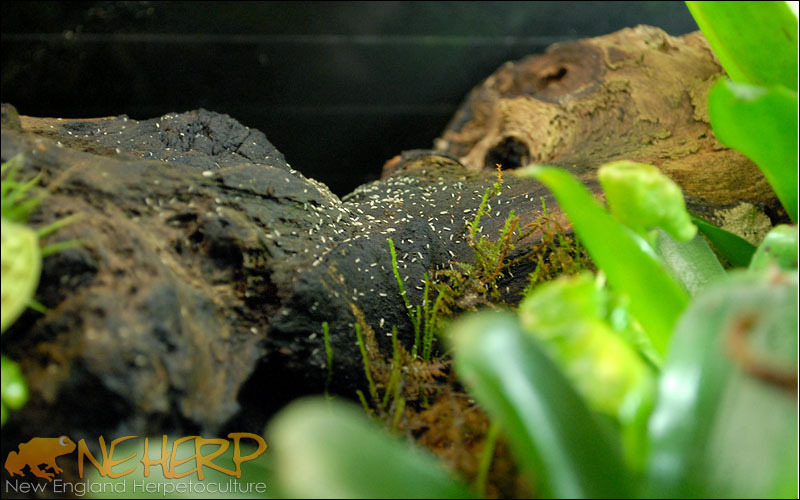 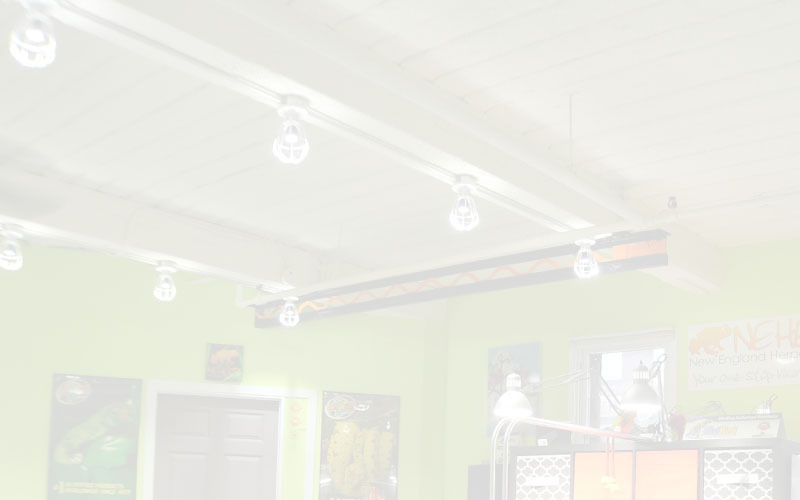 These are some of the most common types we see! 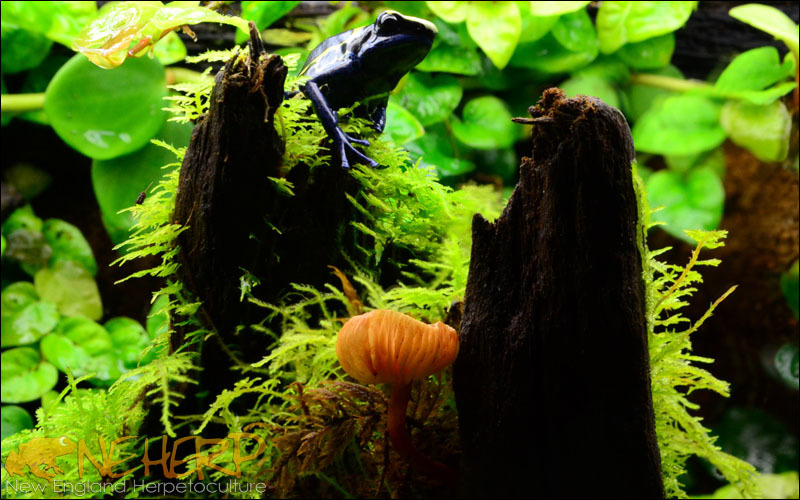 One of our favorite vivarium photos!